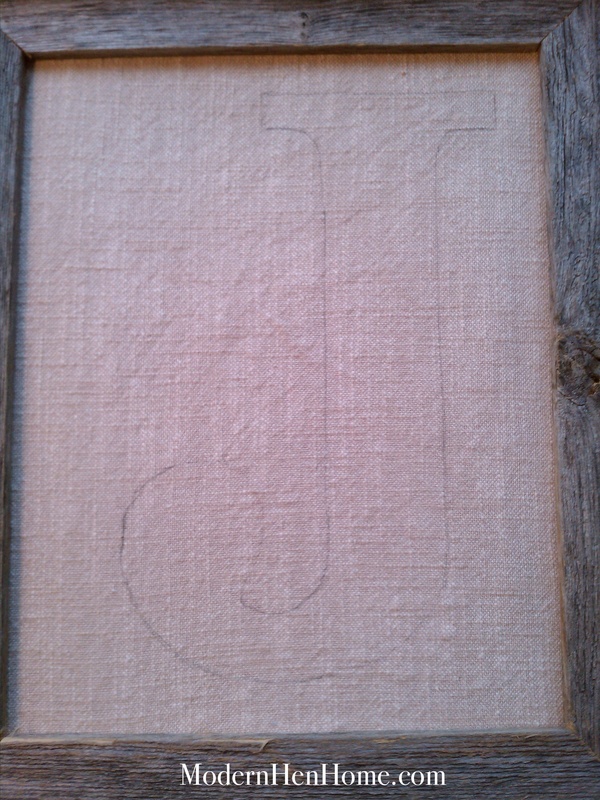 Both of these framed monograms inspired my “J” art. 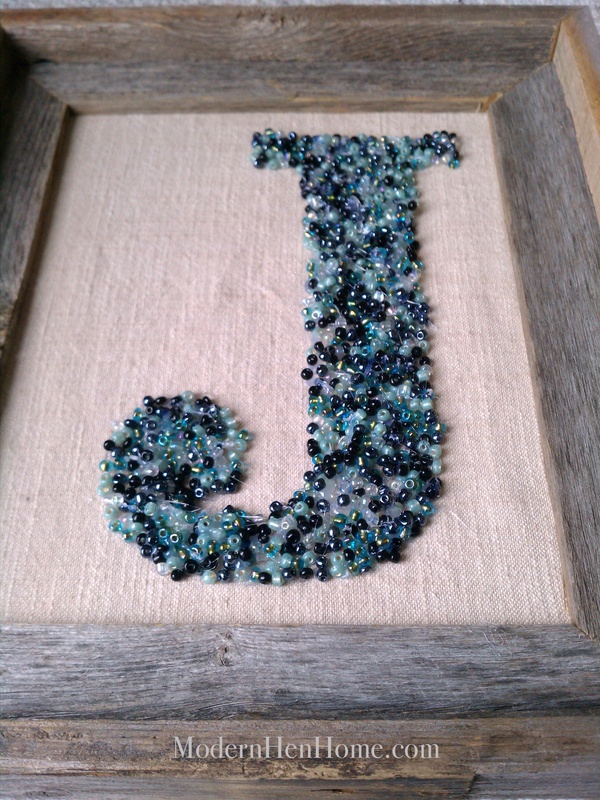 I decided to go with a blue monogram and use small beads instead of buttons, along with a rustic frame, so that it will work in almost any room in our house. Directions: Secure fabric to back of frame with hot glue gun (staples will show through). 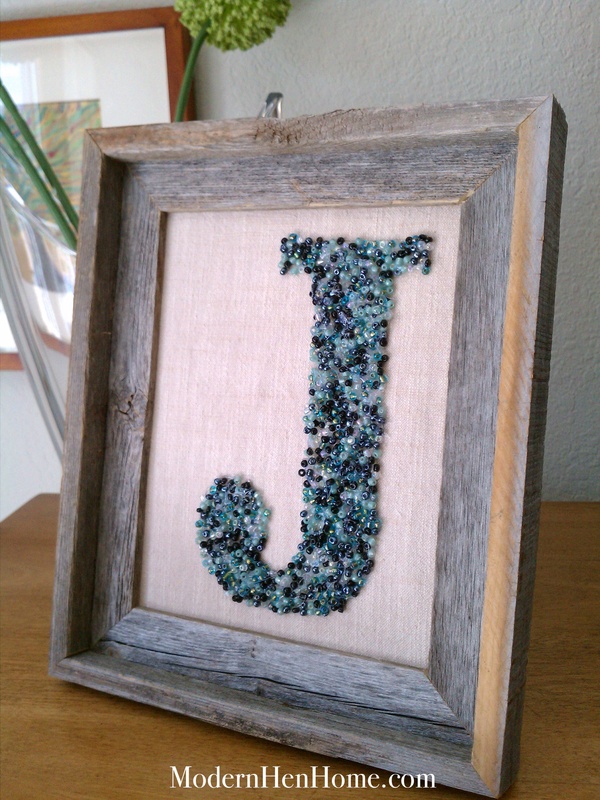 Center your cut-out letter within frame and trace lightly. Using the hot glue gun, work in small sections laying down glue and sprinkling on the beads, pressing them in with a scrap piece of fabric or cardboard to avoid burning your fingertips. Allow beads to dry, then smooth over with fingers to remove loose beads and reset with dollops of glue. 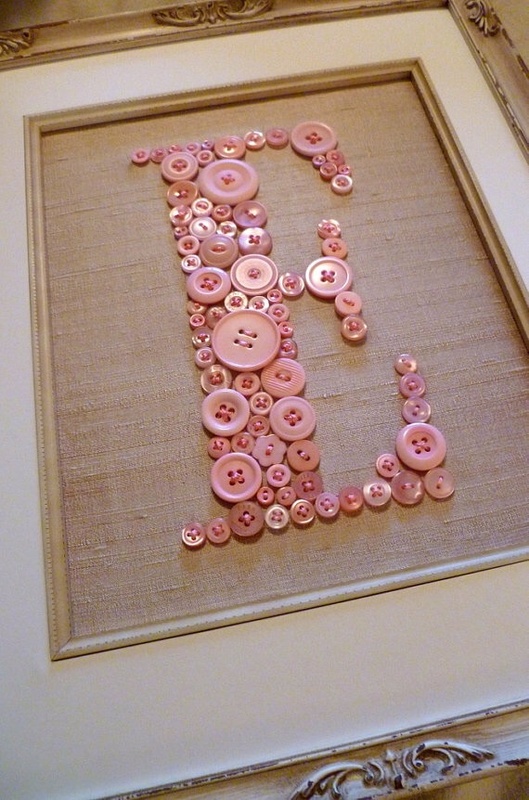 Monograms personalize a room. They look especially nice within a collage of other photos and art displayed together on one wall. 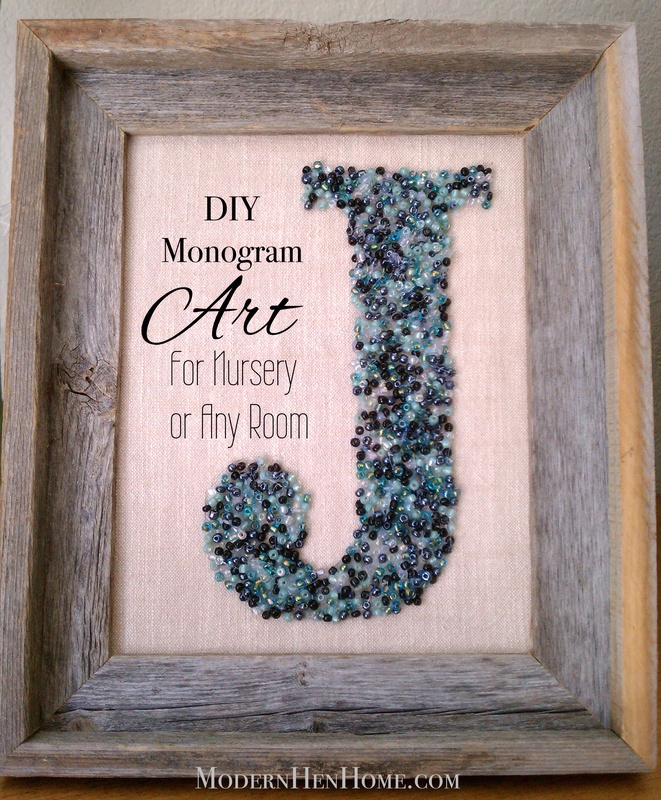 This is a fun and inexpensive project I think you will enjoy making as much as I did. Please remember to Like this page on Facebook to see more upcoming projects. To view previous posts on recipes, household tips and crafts, click the titles in the sidebar to the right. 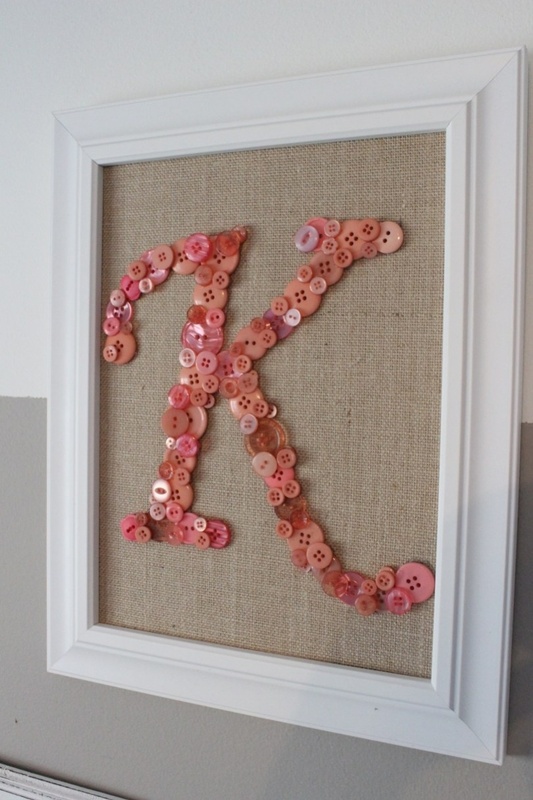 What a fun and simple idea for customized art! Thanks for sharing at Fridays Unfolded!